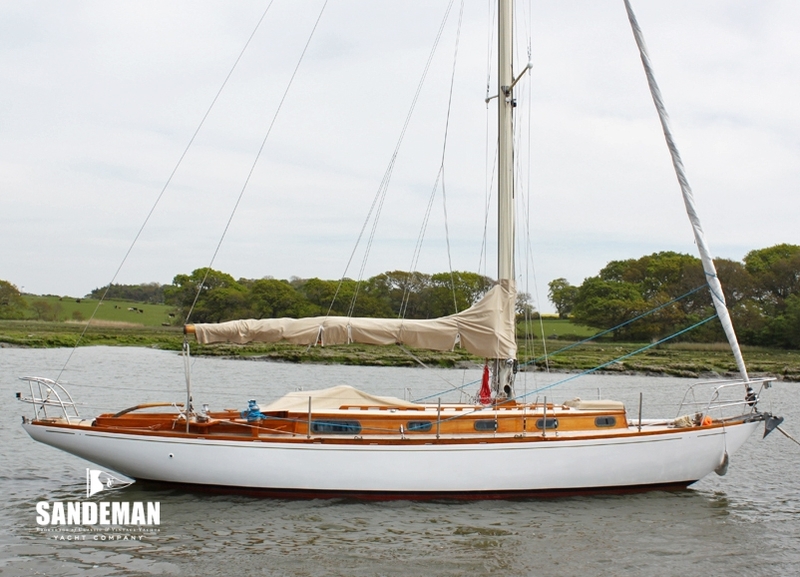 In 1960 Alan Buchanan was persuaded to design a yacht very similar to his own, also to be built by Priors, for a friend. 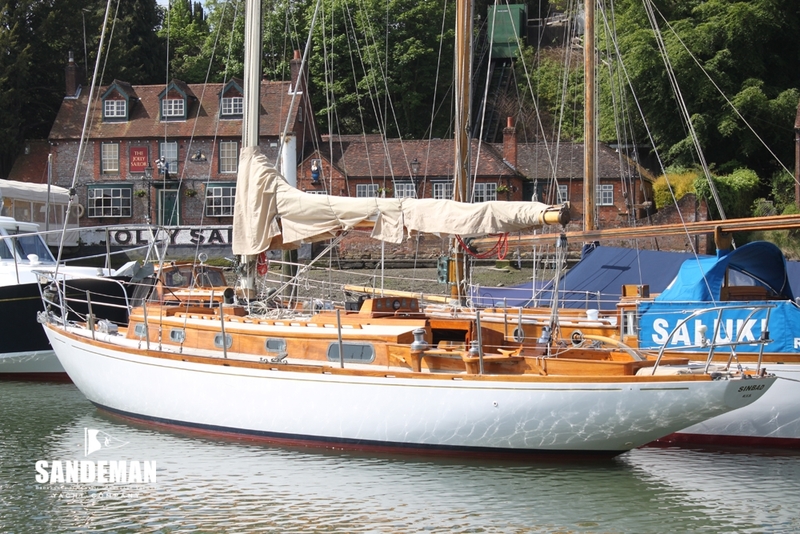 SINBAD was the result and she proved even faster than his own! 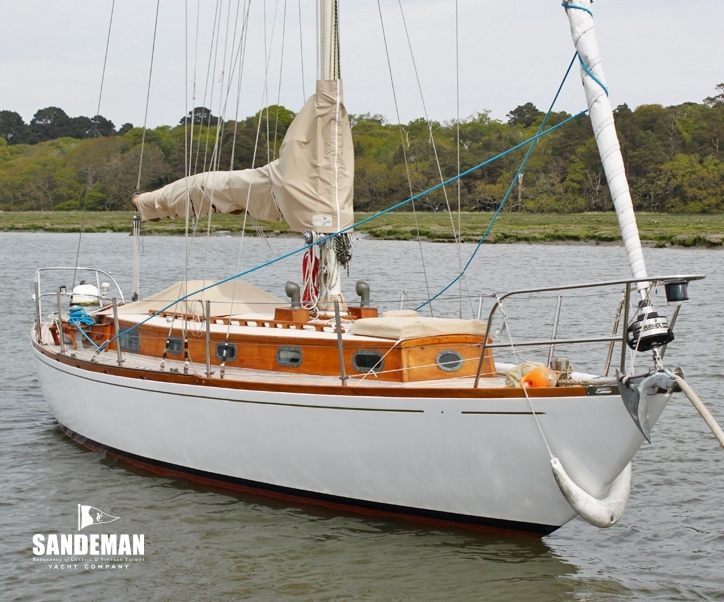 SINBAD’s recent former owner, an experienced yachtsman had her interior sympathetically and cleverly reworked; replaced her sails; and focused on all areas to make her a very usable family cruiser as well as potent classic racer – and succeeded. 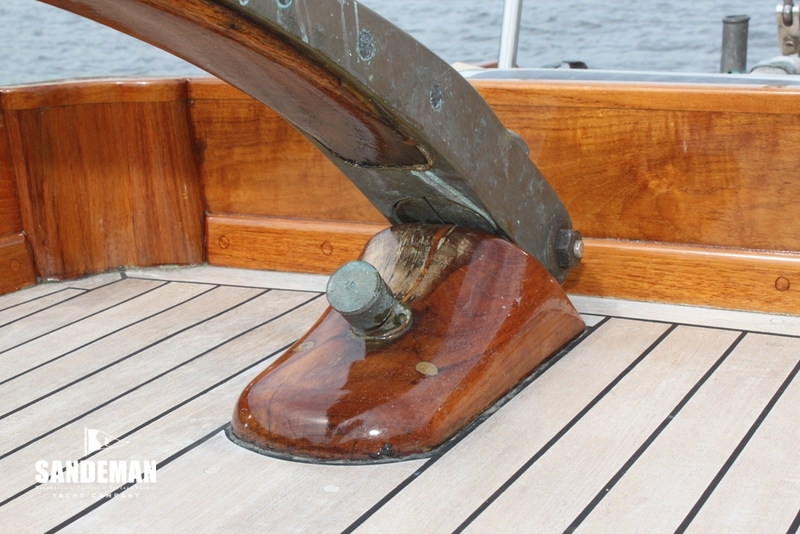 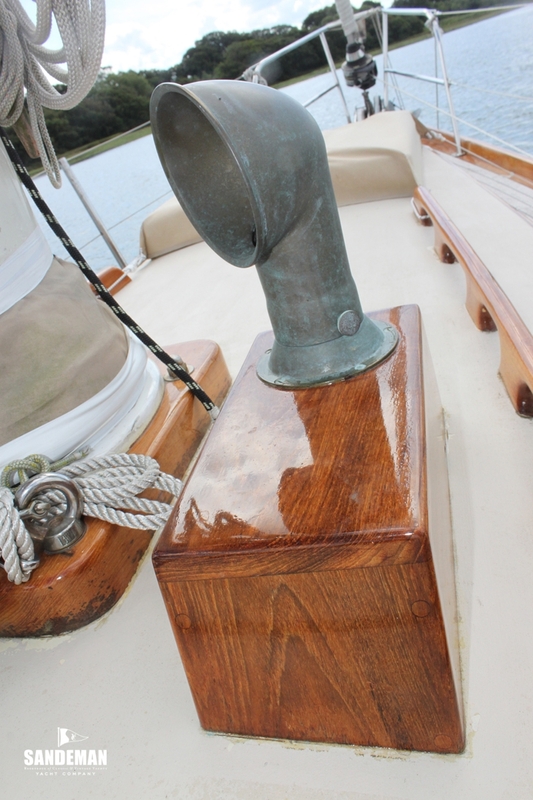 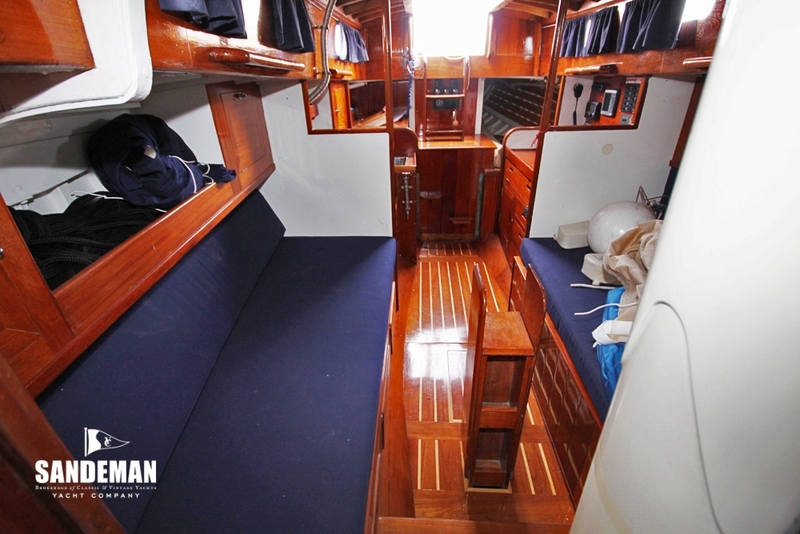 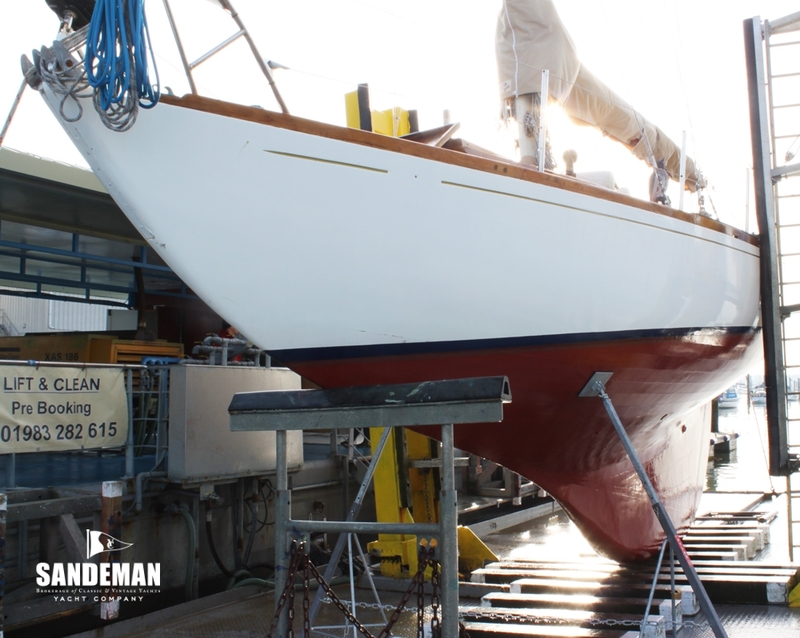 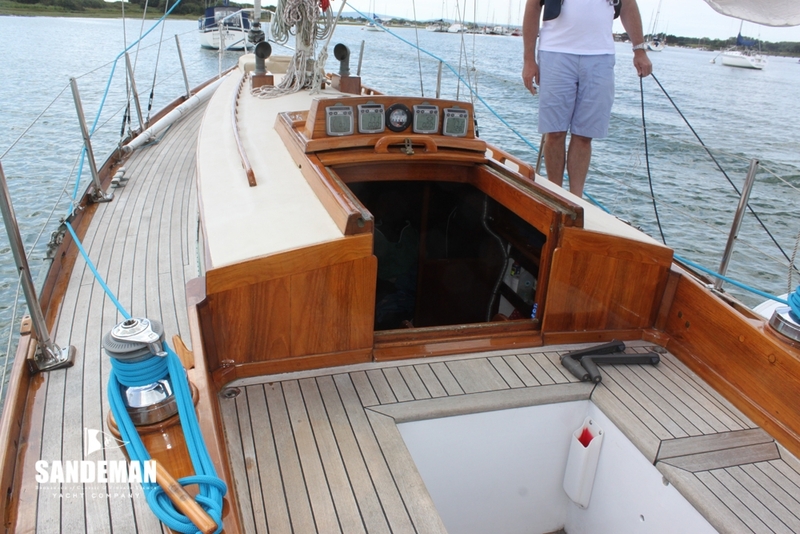 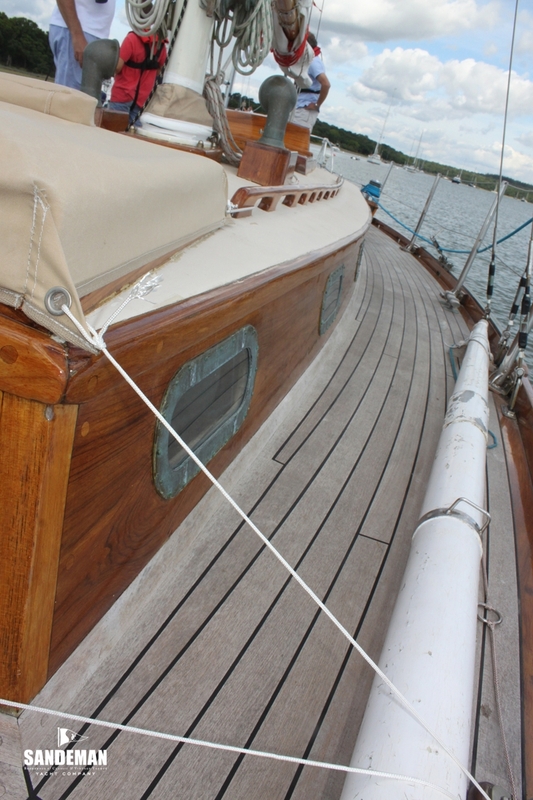 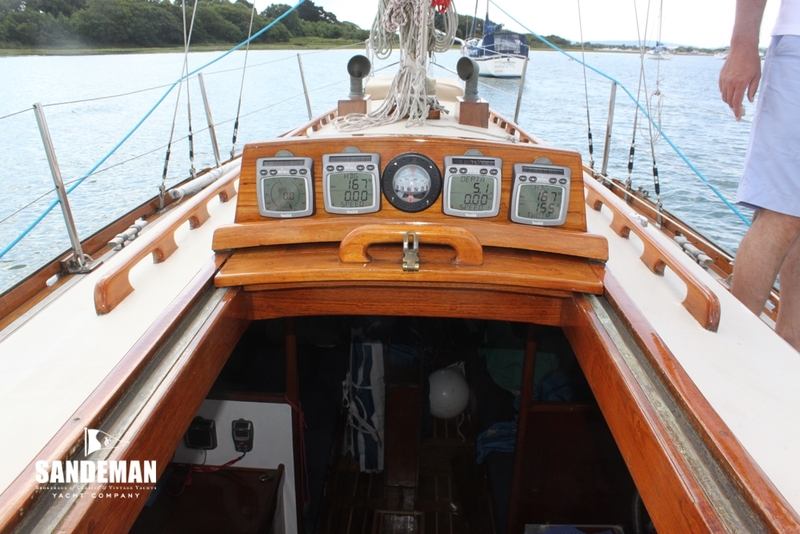 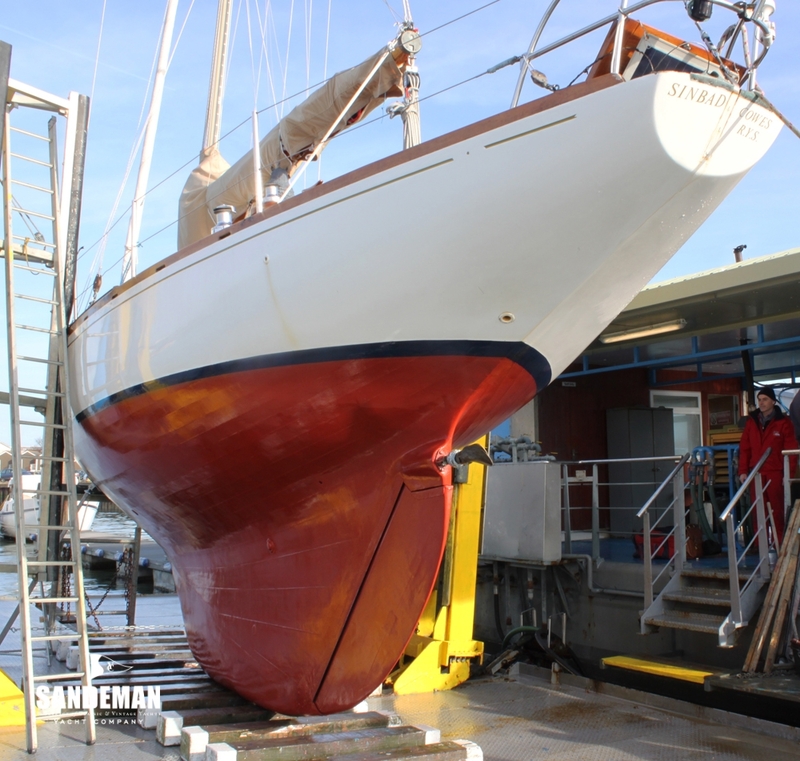 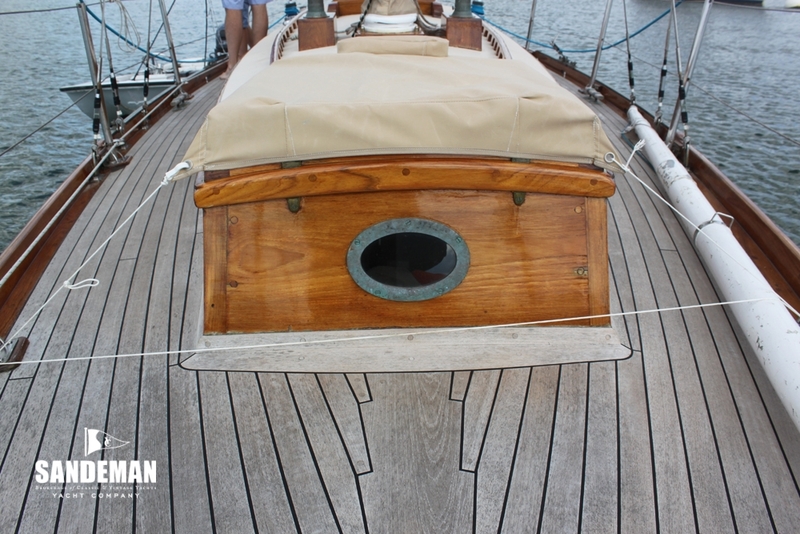 Under her current ownership SINBAD has wintered in recent years at the Elephant boatyard, who in 2012 also fitted a new teak deck. 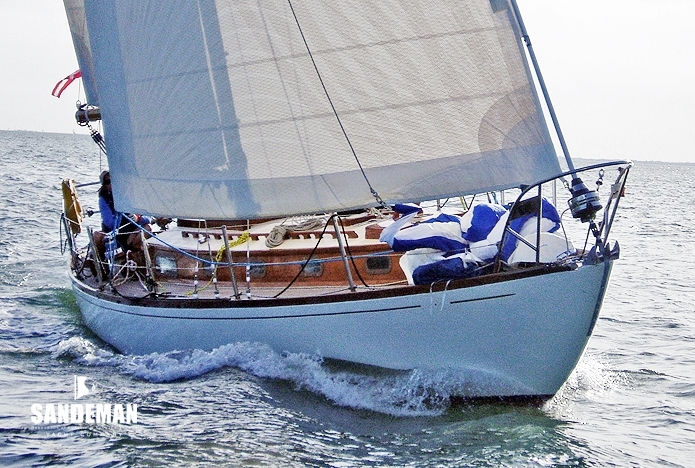 SINBAD is one of only two - then state of the art - racing yachts of this particular. 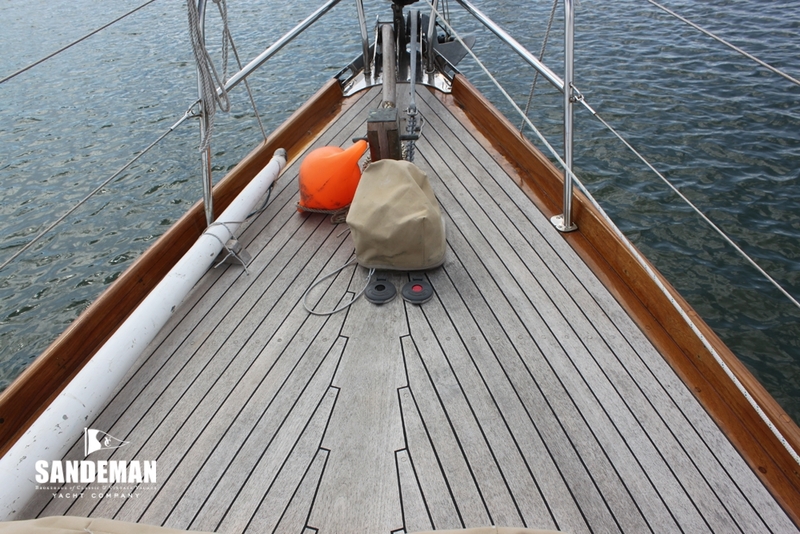 She and TAITSING her near sister yacht proved to be very fast and finely balanced but in one main respect they differed; SINBAD with the advantage of a masthead rig could make greater speed over her ¾ rigged near sister. 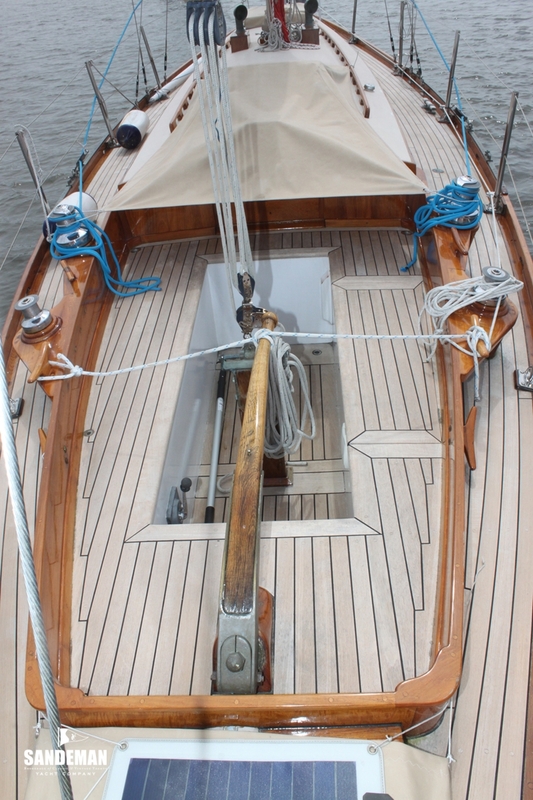 On her maiden voyage; delivery from Priors yard in Essex to North Wales she entered the Round the Island Race and won. 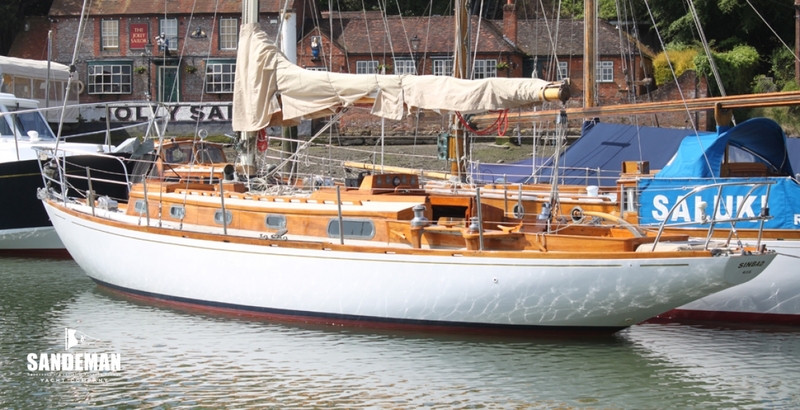 Subsequently From 1988 to 1992 during the ownership of Kathy Kilbey, SINBAD OF ABERSOCH was actively campaigned in RORC Ocean Racing events, including the 1989 Fastnet Race, winning her class. 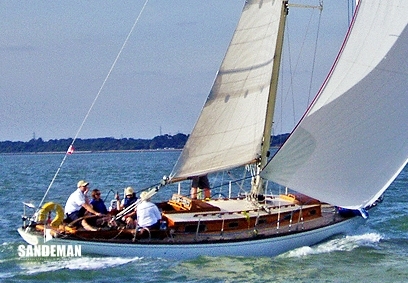 At that time there were only a handful of 1960s Class ll racing yachts in a competitive enough state to race, the most successful of which was the Jacksons\' SUNSTONE, a Sparkman & Stevens wooden yacht which usually arrived well ahead of everyone else – including many of the then modern plastic fleet of Sigma 38s etc. 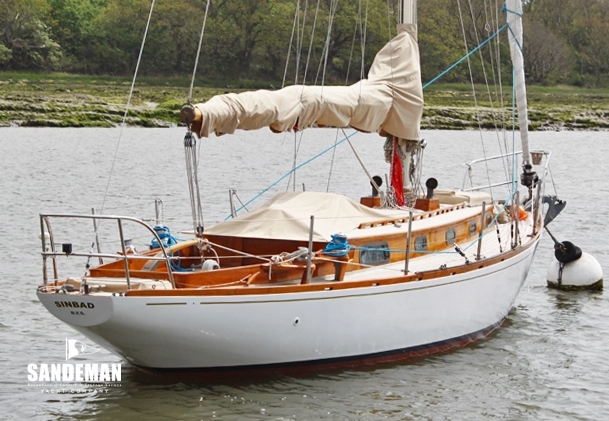 She then became more a family boat, cruising in Scottish, home and north French waters for several years before being sold in 1985 – only to be bought back again a few years later by the same owner – then more recently sold again to be sailed mainly in the Solent. 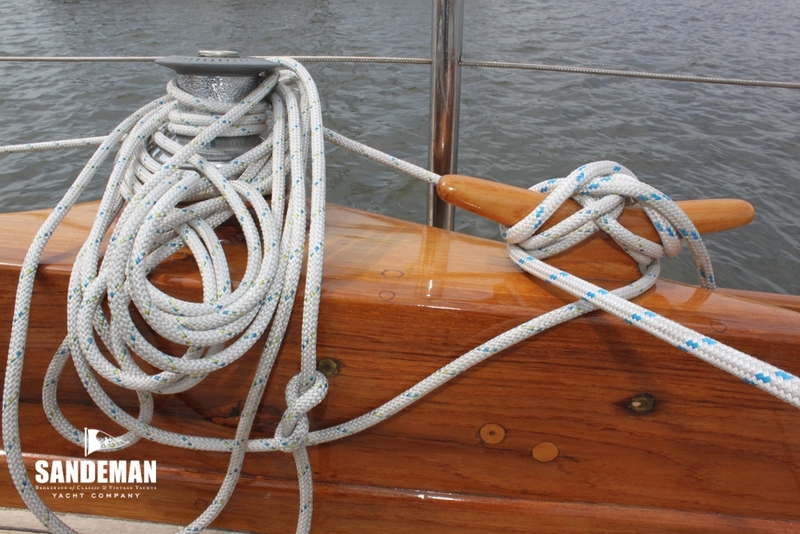 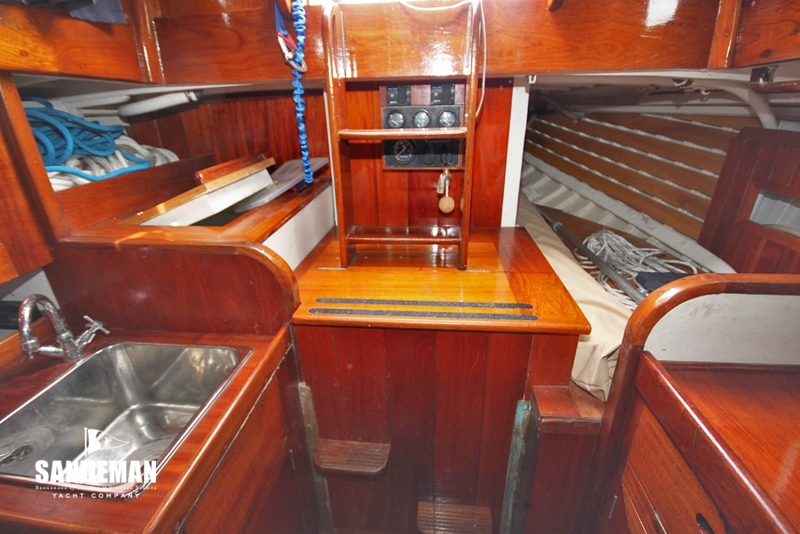 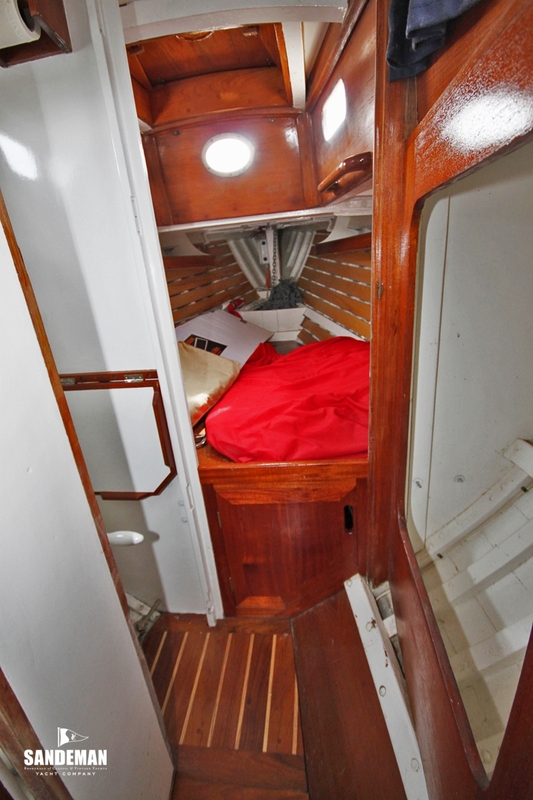 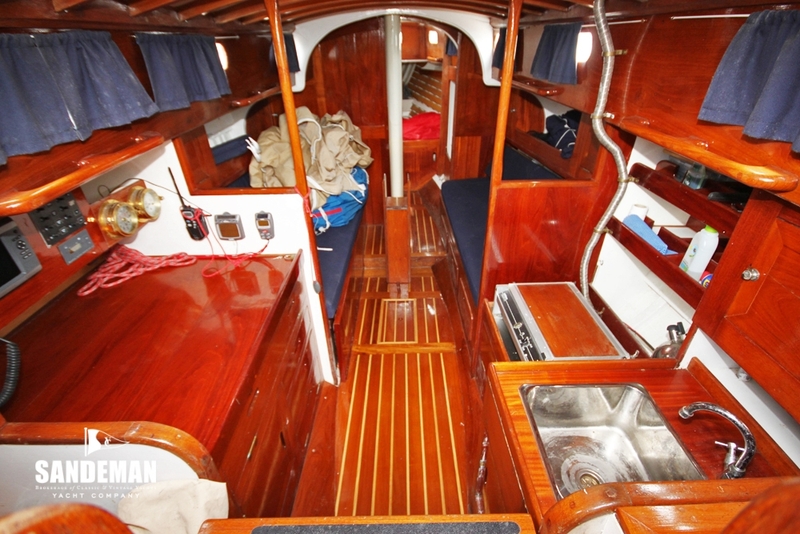 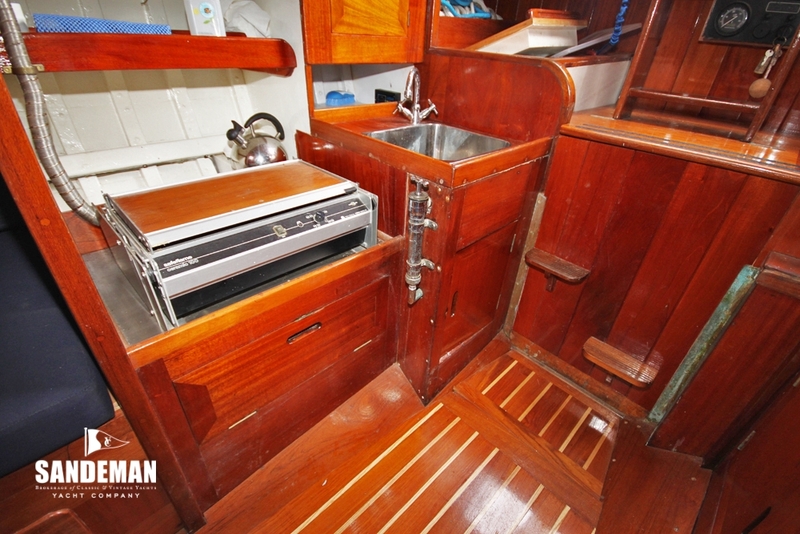 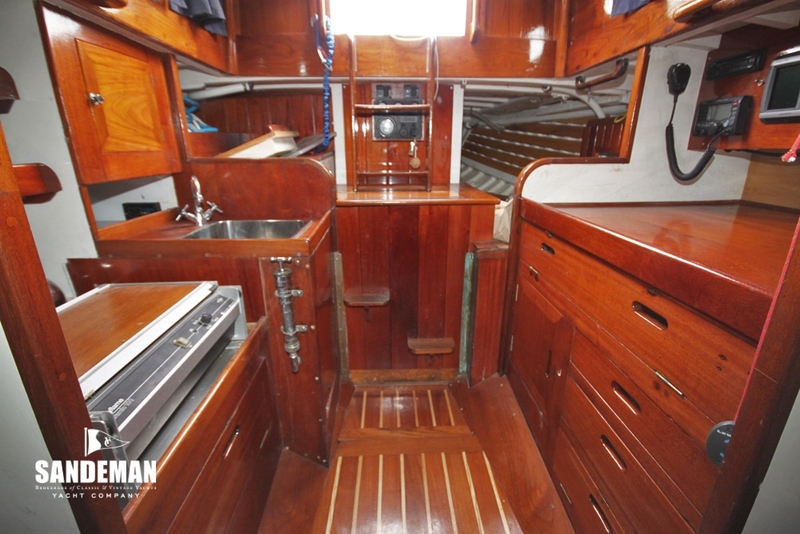 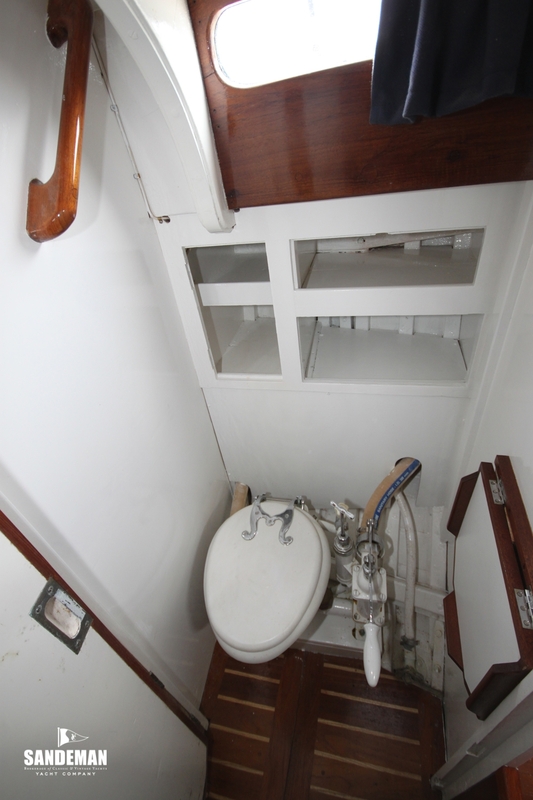 Already in good condition on acquisition by her current owner SINBAD’s deck however did need replacing. 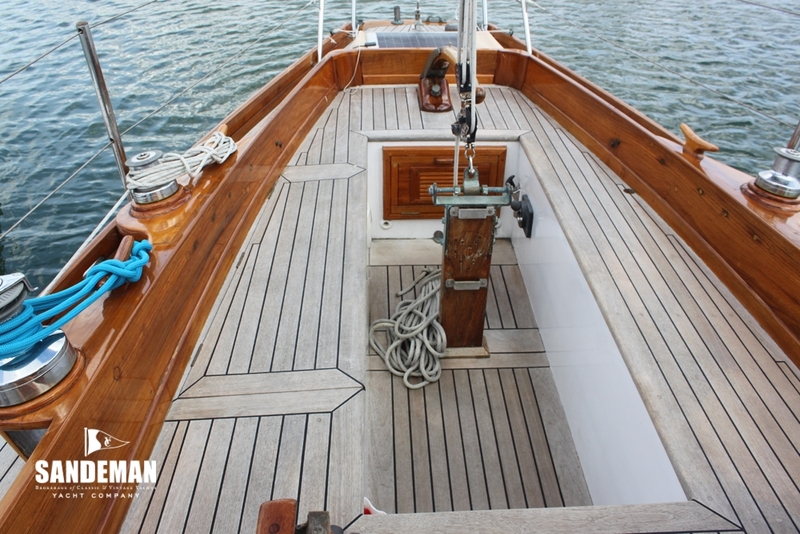 A new teak deck has therefore been laid by the Elephant boatyard. 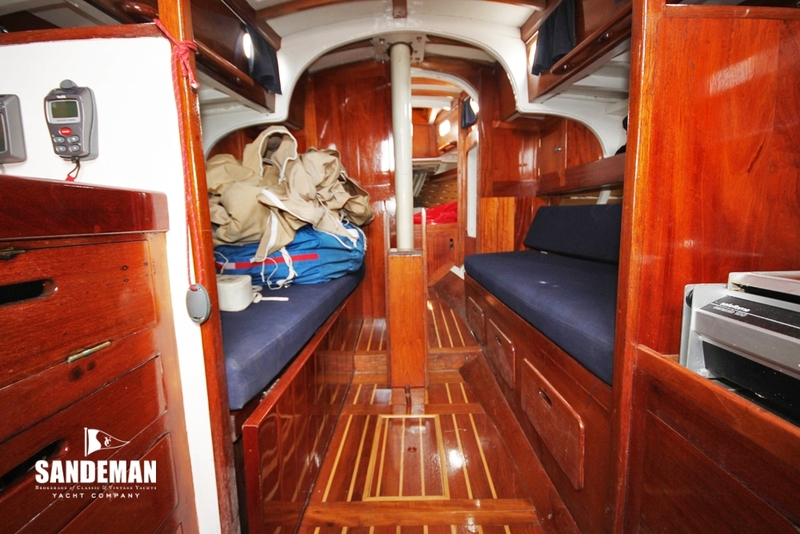 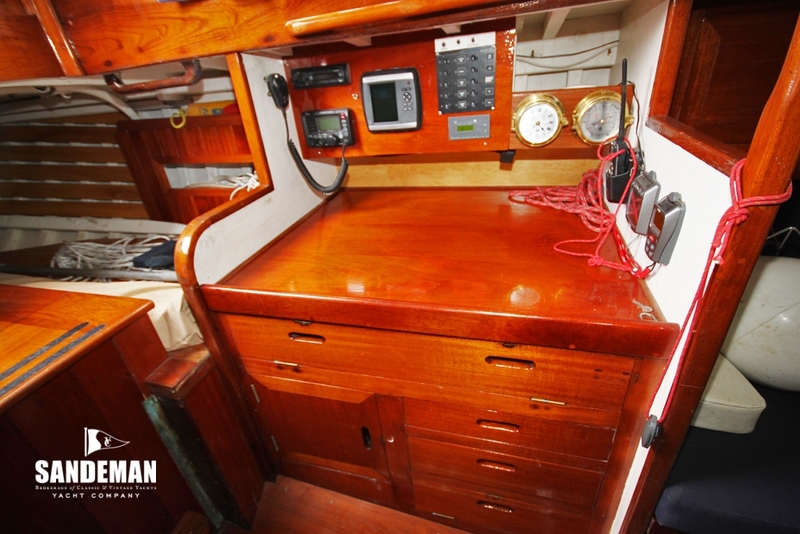 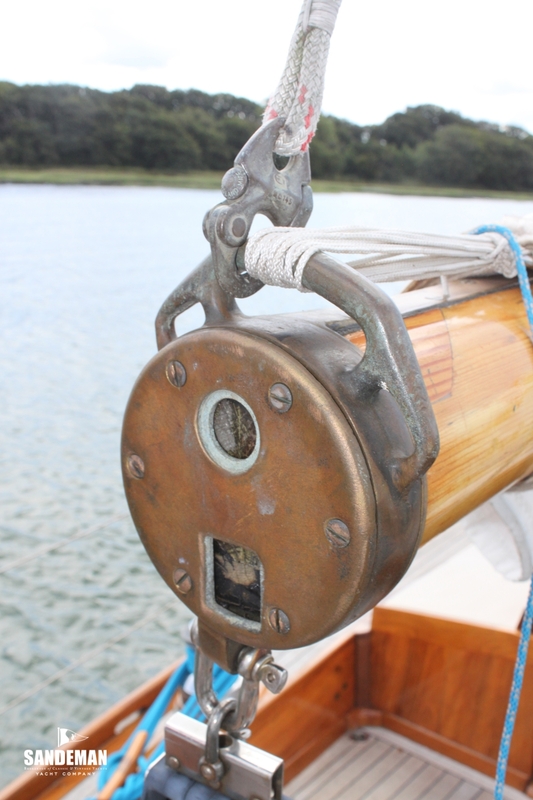 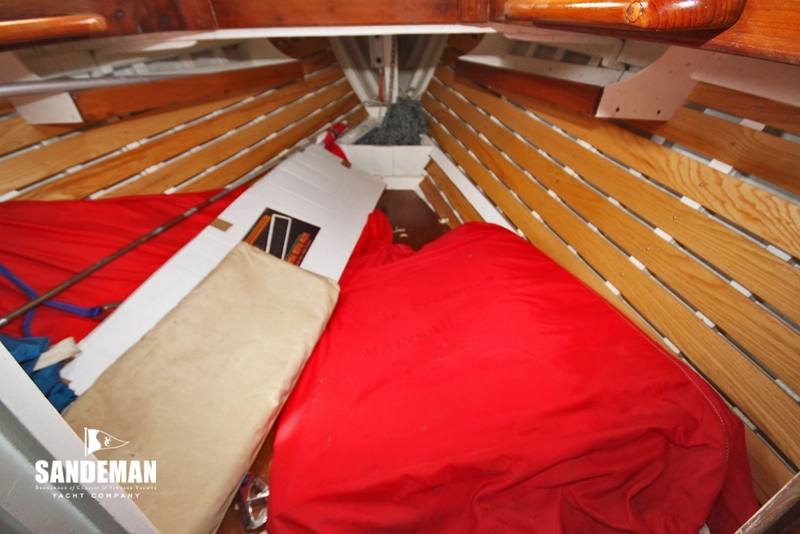 Otherwise she has been equipped with new stainless steel pulpit and bow anchor rollers and a new brass framed window at the fore end of the trunk cabin.